Stem cell therapy is a popular medical procedure for those suffering from a wide range of health issues. The therapy can help the body regenerate lost tissue and joint material in conditions such as arthritis, Parkinson’s Disease, and other degenerative illnesses. While the therapy has been around for decades, it is only in recent years that stem cell therapy has become more common around the world. With newer technology and higher demand, the procedure has increased in sophistication and is now less costly than it was a few years ago. Patients typically can have stem cell therapy performed in a matter of hours in an outpatient doctor office for a few thousand dollars per visit. As technology develops even further, the cost of stem cell therapy will likely decrease. Stem cell therapy is an emerging medical procedure of regenerative medicine that uses specific cells from your own body to help regenerate nearly any kind of tissue anywhere in your body. When certain tissues need help regenerating, stem cell therapy can help the process and keep your condition from worsening. Stem cells are undefined cells that can be found in most areas of the human body. Cells are constantly forming and dying within us, and stem cells replace our old cells when they die. This allows our bodies to function properly in many ways. Sometimes, when areas of the body deteriorate too far, more stem cells are needed in order to regenerate what has been lost. Stem cells are pulled from elsewhere inside your body and injected into the specific location where your body needs them the most. These cells become whatever is needed based on the area they are injected. Stem cell therapy has developed exponentially in recent years, but the technology has been around for decades. Bone marrow transplants are a common type of stem cell therapy which have been proven to help fight cancer. Today, stem cells can be pulled from a wide variety of areas and injected into nearly any location. As time goes on, the technology will only improve and it will help stem cell therapy to become a standard in medical care. The cost of stem cell treatment varies depending on a number of factors. In developed nations, the cost of stem cell therapy is lower due to experience and tools being more readily available. Larger cities also tend to have lower stem cell therapy costs due to a higher availability of doctors and equipment. Five years ago, patients from the United States were traveling to Europe and Asia to spend $20,000 to $50,000 on stem cell therapy. Today, there are a few hundred stem cell centers within the United States that have managed to lower the cost of stem cell injections. The procedure now costs between $5,000 – $12,000. Expectations are that stem cell therapy cost will drop even more as the tools and knowledge continue to develop worldwide. Additional treatment costs should also be considered. Like any procedure, doctors will likely want to have a follow-up to make sure things are going well. Blood tests and medications may also be needed, depending on the specific stem cell therapy procedure. Additional injections of stem cells may also be recommended by your doctors. What is the Future of Stem Cell Therapy? Stem cell therapy has been around for decades but only recently has developed into a common medical practice. Every year, more patients around the world are utilizing stem cell therapy and experiencing great results. As time goes on, the technology will improve, more case studies will be facilitated, treatment options will rise, and the costs will be driven down by competition and availability. Right now, most adult stem cells are pulled from the patient’s bone marrow, but every area of the body has stem cells. In the future, other sources may be used. Nations around the world have found that taking stem cells from embryos and umbilical cords of newborns are simple and effective ways to collect stem cells which can be used in adults. These areas may become a regular source of stem cells in the future. Today, stem cell therapy is a relatively low-risk procedure, but there has not been as many clinical studies when compared to other procedures. Over time, more studies will be performed and the process will become even safer for future patients. 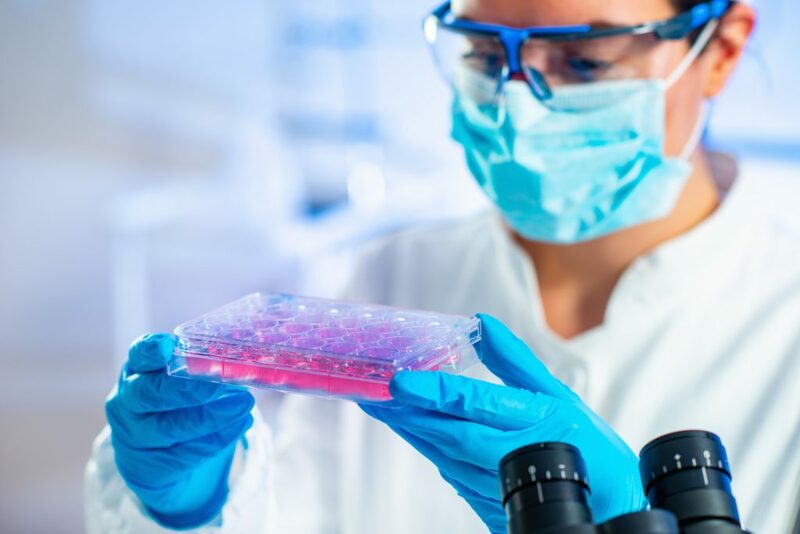 Studies will also be performed on specific stem cell use for the regeneration of specific tissues until nearly every part of the body has been tested as a potential candidate for stem cell therapy. Currently, the cost of stem cell therapy can be a deterrent to some patients. In the coming years as the technology develops, prices will likely drop. The average cost of stem cell therapy has already dropped significantly in just the last 5 years. Stem cell therapy is a great option for anyone suffering from a degenerative disease. The cost of stem cell therapy is considered low when compared to surgeries and will only be becoming lower. The procedure is quick, and the technology is only improving. This relatively simple procedure has been proven effective in thousands of patients worldwide and, over time, will result in more stem cell clinical trials to verify its long-term effectiveness. Patients of stem cell therapy can expect minimal pain during and after the procedure. Best of all, patients can expect reduced pain from their degenerative diseases and there is potential for patients to full recovery from their illnesses. While stem cell therapy cost may be high for some, it may be well worth the price tag to reverse the negative effects of a degenerative disease. Contact us today for more information!